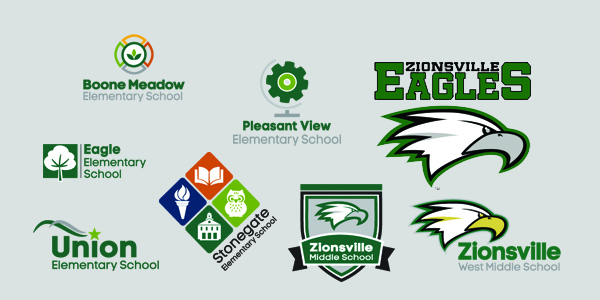 Zionsville Community Schools is dedicated to the growth and achievement of each student. We focus on academics and the social-emotional development known to boost employability and life success. Well-rounded, collaborative people are much sought after in every workforce sector. We are a community of leaders who are raising the next generation of leaders. It is a privilege to be on this journey with ZCS families. When students enter ZCS at the preschool or Kindergarten level, they’ve had great first teachers in the form of their parents, and the stories of formal education are just waiting to be told. Together, we help ensure opportunities for growth while “our” kids are on the road through life that was begun here and is sustained well into early adulthood. ZCS educators are innovators and motivators. Our families are collaborators and supplementing support systems. And always, our students are the story. Help us tell the story. Share the great things ZCS students are doing inside and outside of school. We value our partnership with you and thank you for trusting us with your child. In ZCS, we are striving to help students be Strong in Every Way. We are #zcsstrong. Experiencing classroom moments with our ZCS students is a daily reminder of the impact we have as educators and leaders in the community.